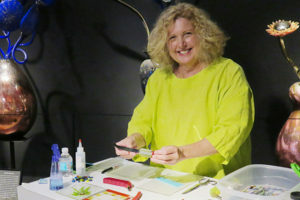 Join glass artist Chelsea Rousso at her January workshops to make your own fused glass mask in time for Mardi Gras. 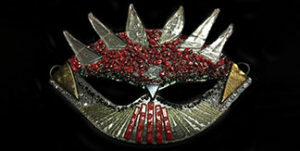 You can choose to attend one workshop on January 11th to create a display mask which will be fired flat. Or you can attend two sessions, the second on January 25th, in order to produce a formed wearable mask with embellishments. 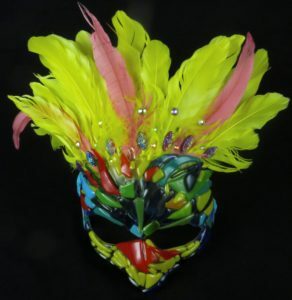 At the first Mardi Gras session on Friday, January 11, you will create your own glass mask using art glass from Bullseye. Your mask will then be kiln fired by Chelsea. If you are making a flat display mask you can return to WMODA to pick it up two weeks later. 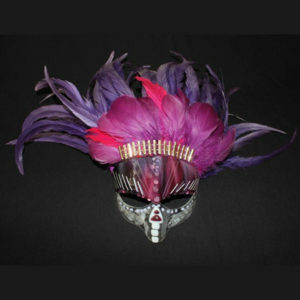 If you choose to make a wearable mask, you will return to WMODA on January 25th to embellish your formed mask with feathers, beads and other ornamentation. You can then take it with you to wear at Mardi Gras. Chelsea is an inspirational teacher and students are guided through a series of simple steps. No previous experience is necessary to create your own work of art, which will be cherished and admired by your friends and family. Unleash your inner creativity and try a new art form at WMODA. 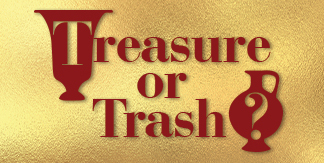 Each workshop runs from 1pm to 3:30pm on Friday, January 11 & Friday, January 25. Cost of each session includes expert tuition, all materials and finished work fired for pick-up at WMODA.